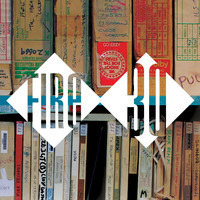 2014 marks the 30-year anniversary of Fire Records, a London-based staple among indie music labels. In celebration, they've put out a 5-track playlist showcasing, as the title boasts, this year's “ones to watch.” The list includes Blank Realm, Scraps, Scott & Charlene’s Wedding, Virginia Wing, and Orchestra of Spheres. In addition to the playlist, a handful of celebratory projects and events are planned, such as reissues of classic albums, new releases, gigs and art shows. Looking at their roster from the past three decades, its impossible to overlook their stamp on the music world, with highlights like Neutral Milk Hotel and Pulp, then onto Guided By Voices, Mission Of Burma, and Pere Ubu. Stream “Donna's Gift” by Virginia Wing off of the Soundcloud playlist, and keep your eye on what Fire Records has planned in the coming months. Pop that champers.